Summer is here and the living is easy, especially here on St Croix in the US Virgin Islands. And though you may not normally think of Caribbean vacations for the summer, we’ve got some compelling reasons why it’s actually the perfect time to visit our shores! Our year round average temperatures is about 86°F/30°C with temperatures rarely exceeding 90°F/32°C. Balmy tropical breezes brought to us by the Trade Winds help to cool things off a bit. You may be surprised to find out that in the summer months our temperatures are often cooler than those in the continental United States! Believe it or not, our waters tend to be calmer during the summer months. 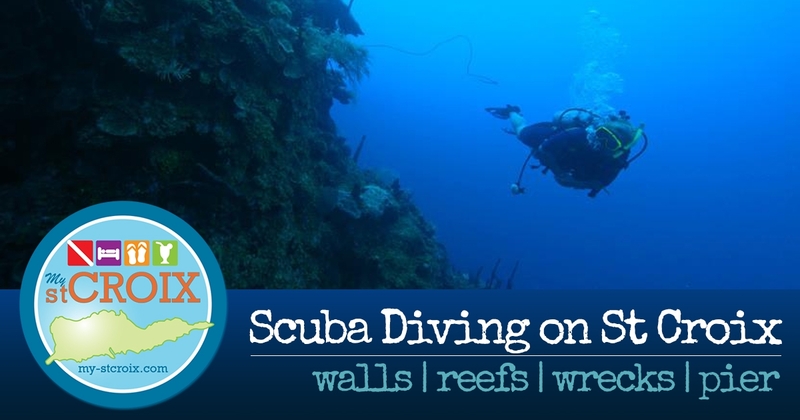 Because of this visibility is typically higher which makes for amazing Scuba or snorkeling conditions. With the calmer waters, the summer months are also when the corals spawn and bio-luminescence is at its peak which makes for thrilling night dives. St Croix’s “off season” runs from mid-April through mid-December. Midsummer months often offer additional savings on accommodations. Well, honestly, St Croix is never crowded even in season though you may find some West End beaches busier on Cruise Ship days than on others. But, in the summer months you’ll find excursions are a bit less crowded and you may even find you have a beach to yourself on a weekday. Be sure to book your “must do” excursions in advance as many tour operators have minimum numbers to go out. Some also vacation or perform maintenance in late summer months so it’s always good to check in advance. During the summer months on St Croix – because things slow down a bit – you’ll find more islanders out and about. Crucians are some of the most warm and friendly people you will meet. They are always ready to embrace newcomers and offer advice on what to see and do. You may find yourself in a conversation with someone whose family has lived on St Croix for generations or who has made the leap to island life in the recent past. Before you know it, you’ll feel right at home.